The Constitution mandates a counting of all persons in the U.S every 10 years. This count is regardless of legality of stay. For the first time in United States history, the 2020 Census could include a question around citizenship. If allowed to pass, it would endanger immigrant communities, leaving them exposed to violence, and hate. The Census informs the allocation of $800 billion in federal funds, guiding spending on infrastructure, education, healthcare, and public benefits. The inclusion of a citizenship question will red flags communities of color, and might lead to increased surveillance and policing of immigrants, specifically South Asians who already find themselves at the cross hairs of hate and violence. Follow this link for a sample comment letter SAALT and Desis Rising Up and Moving (DRUM) created you can use. How will an inaccurate count impact your local community and state? Do you have specific programs or projects funded by the state or local government that are at risk of being under-funded? How might this impact political representation in your communities? How will your community demographic affect their response rate? 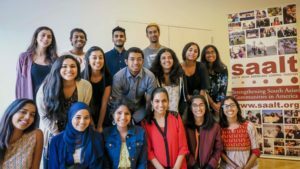 Many South Asian families live in mixed-status households, do they feel safe responding to a citizenship question? 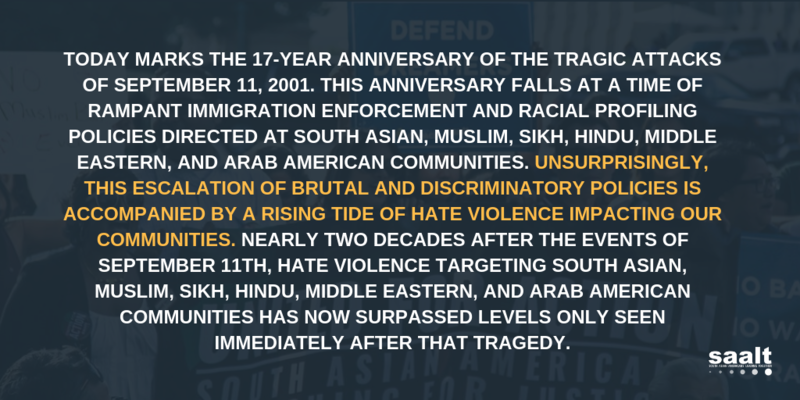 SAALT’s 2018 report documents hate violence and xenophobic political rhetoric aimed at our communities from Election Day 2016 to Election Day 2017. 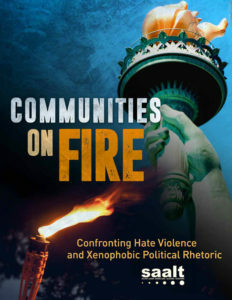 SAALT documented 302 incidents of hate violence and xenophobic political rhetoric aimed at South Asian, Muslim, Sikh, Hindu, Middle Eastern, and Arab communities in the United States, of which an astounding 82% were motivated by anti-Muslim sentiment. The 302 incidents are a more than 45% increase from the year leading up to the 2016 election cycle, levels not seen since the year after September 11.